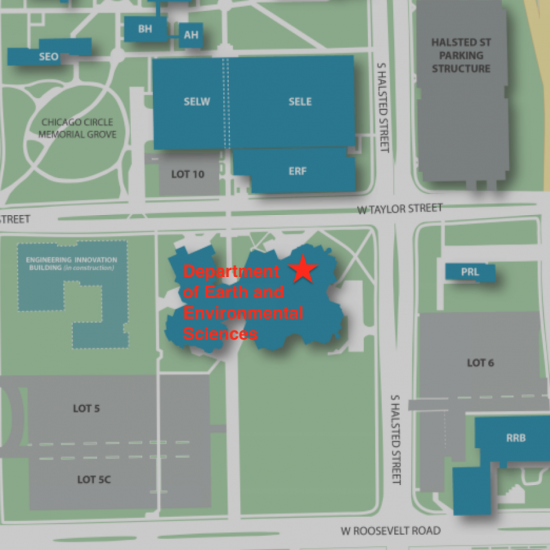 The Department of Earth and Environmental Sciences is located on the East Campus of the University of Illinois at Chicago in the Science and Engineering South (SES) Building (circled in orange), within a 20-30 minute walk from the Chicago Loop. The main office is accessible by entering the eastern part of SES at the level of the exterior crosswalk between the east and west parts of the building. Once inside the double glass doorways turn right to access the Department Office in Room 2440. The department can be reached by car via the Eisenhower (I-290) and Dan Ryan (I-90/94) Expressways. Parking is available in the Halsted/Taylor Street parking garage or Lot 5 (both encircled in red). 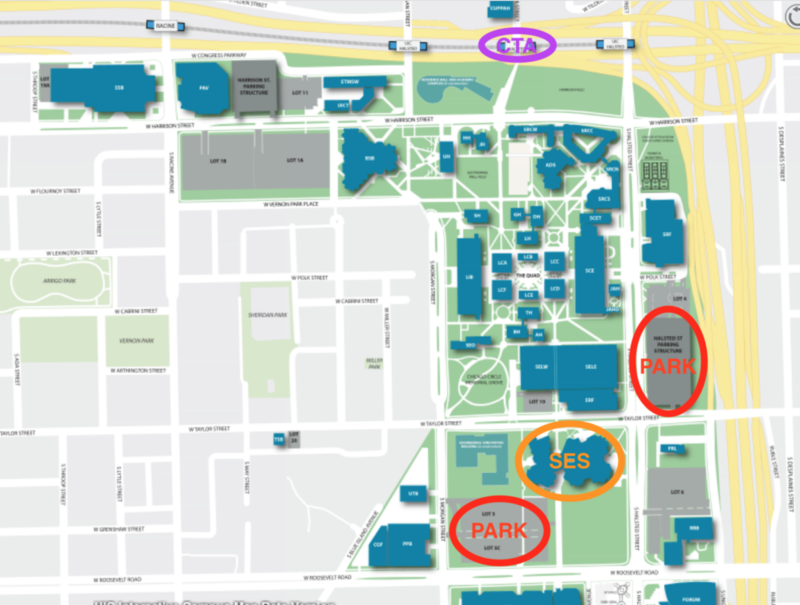 The East Campus is located near the UIC-Halsted CTA (elevated train/subway) stop (circled in purple), a 5-minute ride from the Chicago Loop on the Blue Line. The Blue Line is directly connected with O’Hare airport (~50 minutes), whereas transfer to the Orange Line in the Loop provides a connection with Midway airport.